Mr. Andrews, where do you think public relations is heading? Do you think practitioners provide the type of counsel and service necessary in today’s world or do you think there is more we should be doing? Public relations is going to become ever more important as we go into the next decade. This is largely because communications is less about shouting from the rooftops (which is essentially what advertising does, especially TV advertising) and much more about managing conversations. It’s the difference between the pulpit and being at a cocktail party – companies and brands have to realise that there are a hundred different conversations taking place about them at all times. They need to be part of these because, if they are not, people will talk anyway. Public Relations has always been about this and is the only communications discipline to truly understand the potential of social media in this process. At FH, we are seeing clients coming to us to help them make sense of who to talk to, how best to connect with these people, and how to build mutually meaningful relationships. There is still a lot to be done in this area, however, particularly as the technology continues to develop. Our job is both to understand this and to make sure that the age-old principles of public relations still apply. Fleishman-Hillard is a worldwide operating agency and has branches all over the world. Could you highlight some regional differences in the field of media transparency practices you experienced? From your practical experience, is the topic gaining in importance and if yes, in which direction? Depends what you mean by ‘transparency’. Generally, corporate governance and business ethics have become more important pretty well everywhere over the last decade. There is a greater expectation of corporate transparency (we call it “working out loud”), stakeholders expect companies to take responsibility for all elements of their value chain, and expect them to act ethically in their relationships with those stakeholders. Insofar as the media is a ‘stakeholder’, they also get included within these expectations. This is blurred by the important question of “who is a journalist?” right now. Anybody with a voice, a willingness to write and an audience might call themselves a journalist. I think people are more worried about perceived lack of ‘professionalism’ in journalism, and the fact that there seems to be a general preference for being quick over accurate, than they are about transparency per se. Many corporations continue to divide responsibility for stakeholder engagement between separate functions, many of them with distinct reporting lines. From the brand reputation management perspective those distinctions don't make much sense. Do you think social media will make such functional distinctions disappear? I think this is quite likely. By exposing companies to a myriad audiences and points of view, instant feedback, and a high degree of unpredictability, companies and brand managers are having to wake up to the uncomfortable fact that the world does not divide itself in the way it sees the world. I think we are more likely to have communications divided (and subdivided) by audience rather than product/brand going forward. So, someone in P&G, for example, might be responsible for “young Romanian women, aged 18 – 23” and be responsible for a suite of brands which might appeal to that demographic. That would match more closely the life experience of the people to whom they are marketing or communicating to. Any PR practitioner responsible for reputation needs to be involved in shaping policy, not just communicating it. Do you consider that the actual term "corporate communication" sells the function way too short? Would Public Engagement be an acceptable replacement for "corporate communication"? Personally, I think ‘Public Relations’ is still the term which best sums up what we do. At all levels we are about helping companies/brands etc forge relationships with the publics which matter to them. It’s called ‘Public Relations’ for a reason..... For some reason, however, perhaps because the industry has always lacked confidence in the value of what it does, we keep trying to find newer and better labels. I am not sure this is helpful. Evaluation and research has long been the "poor cousin" in our profession. What is your impression, has the topic become more relevant? Moreover, what are you telling your clients to convince them of the importance of the topic? Return on investment is always a relevant topic with any business person. The challenge which measurement has always faced in our sector is that it has tended to focus on outputs (media coverage, AVE etc) rather than outcomes i.e. what has actually happened as a result of our work. It is possible to show the impact of a PR programme on, say, share price or sales (FH has a statistical unit that can do this) but it is expensive and clients often do not want to pay for it. What the advance of social media has done, however, is to allow measurement to be more targeted and granular and considerably less expensive. I think we have only scratched the surface of what we will be able to measurement with the new tools which are coming on-stream at the moment and this is an exciting area. How do you measure the influence of online communities on the reputation of your clients? What tools do you use? We don’t believe that there is a ‘sliver bullet’ tool out there at the moment, particularly because many of our programmes are international and there is no tool that can cope well with different languages. Two things need to happen – one there needs to be a genuinely perfect translation software, and two there needs to be a way of assessing tone and intent, understanding humour and dealing with slang etc. This will allow us to take the people out of the process, allow a more complete analysis of the data, and also allow for the huge volume of stuff to be included. Until this happens we are all making judgement calls based on partial data. Many interest groups in Romania are only beginning the process of learning how to lobby effectively and professionally. On the other hand, there are many voices which are fighting for the regulation of the lobbying activities. Do you see a risk in regulating the profession before it becoming a real profession? 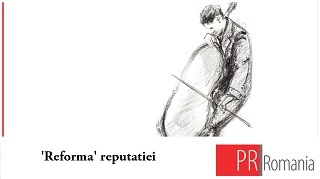 What would you recommend to the Romanian practitioners in order to improve the legitimacy of lobbying activities? It depends on the regulation and the practices it is intended to regulate. We believe that lobbying is a legitimate (and age-old) part of the political process. It is often regarded with suspicion, however, by political institutions who perhaps don’t trust their own members. Regulation needs to allow genuine malpractice to be identified and punished but not get in the way of the legitimate expression of political interest. Often problems come from a lack of understanding by those seeking to regulate of the true nature of “political lobbying”. It is seen to be a ‘dark art’ (like something from Harry Potter) whilst in reality it is much more everyday and less exciting. The Romanian profession needs to put as much effort as possible into understanding the underlying concerns which have led to the call for regulation and educating accordingly. 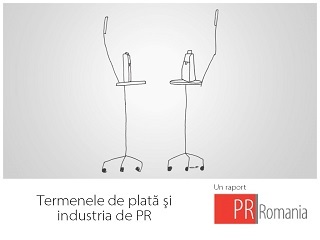 Fleishman-Hillard signed recently an affiliation contract with the Romanian agency 2activepr. 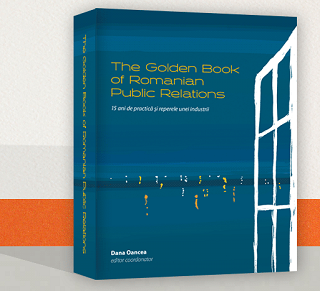 What kind of added value do you bring to the Romanian PR market? We mostly bring immense and constantly evolving experience which can be shared and adapted for the Romanian market. FH is the world’s biggest PR company and somewhere in our company we almost always have somebody, or a team, who has worked on almost every kind of client in almost every sector. We put a lot of time and effort into sharing information and best practice and 2activepr is very much part of this process. We also took a strategic decision several years ago to be at the cutting edge of Digital Communications and have invested considerably in this area. Nick Andrews has been a corporate communications and public affairs consultant for twenty years, the last fourteen of which have been spent in Brussels. He has a specialty in crisis management; change management and positioning and has done extensive corporate communications work across Europe. Mr. Andrews also brings valuable experience in managing large, multi-market communications programmes across both western and central and Eastern Europe. Mr. Andrews joined Fleishman-Hillard in 2005 as vice-chairman of the Brussels office. Since then he has worked on issues and crisis management, internal communications, and positioning assignments across a wide range of sectors. These include the aviation, food, healthcare, packaging, communications, biotech and professional services sectors. Mr. Andrews is also chair of both the European internal communications and corporate reputation management practices. Before joining Fleishman-Hillard, Mr. Andrews was the chief executive officer of Gavin Anderson in Brussels, as well as head of European public affairs and corporate communications. In Brussels, Mr. Andrews has also worked for APCO Europe (where he was the managing director, strategic communications – Europe) for five years and for The Rowland Company as a director. In the UK, Mr. Andrews was a founding member of Smythe Dorward Lambert, the leading internal communications and change management consultancy, and began his career in corporate finance for Morgan Stanley. Mr. Andrews holds a Master of Arts degree in modern history from Oxford University (at which he was a scholar) and speaks English and French.